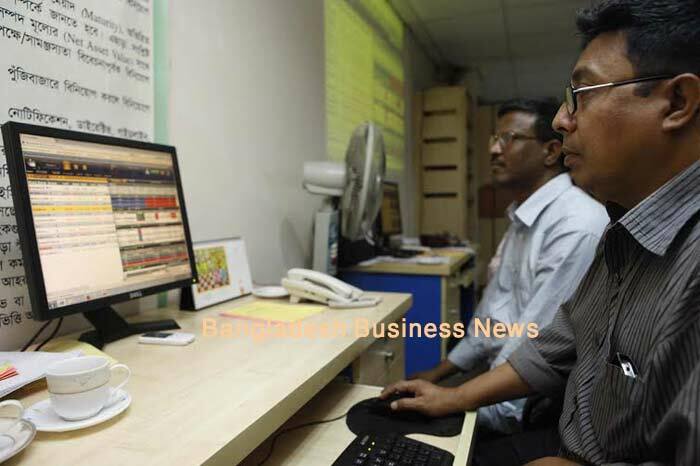 Dhaka, Bangladesh (BBN) – Bangladesh’s stocks stayed downturn at midday on Monday as risk-averse investors continued their selling spree amid ongoing earnings and dividend declaration session. Following the previous day’s flat session, the Dhaka Stock Exchange (DSE) and the Chittagong Stock Exchange (CSE) opened lower amid low trading activities. Within first 15 minutes of trading, the key index of the country’s prime bourse fell nearly 14 points while the Selective Category Index of port city bourse lost 16 points at 10:45am. After 30 minutes of trading, the DSE lost 14.45 points while the Selective Category Index of port city bourse fell 25 points at 11:00am. After 90 minutes of trading, DSEX lost more than 32 points while the Selective Category Index of port city bourse fell 58 points when the report was filed at 12noon. DSEX, the prime index of the DSE stands at 6,009 points, losing 32.20 points or 0.53 percent at 12noon. The two other indices also saw downward trend till then. The DS30 index, comprising blue chips, lost 10.34 points or 0.47 percent to reach at 2,179 points. The DSE Shariah Index (DSES) also dropped 4.89 points or 0.36 percent to reach at 1,327 points. Turnover, the crucial indicator of the market, stands at BDT 2.12 billion, when the report was filed at 12noon. Aamra Networks was the most traded stocks till then with shares worth BDT 128 million changing hands, closely followed by BBS Cables BDT 119 million, Grameenphone BDT 111 million, IFAD Autos BDT 91 million and Rangpur Foundry BDT 67 million. Of the issues traded till then, 92 advanced, 183 declined and 39 issues remained unchanged on the DSE trading floor. 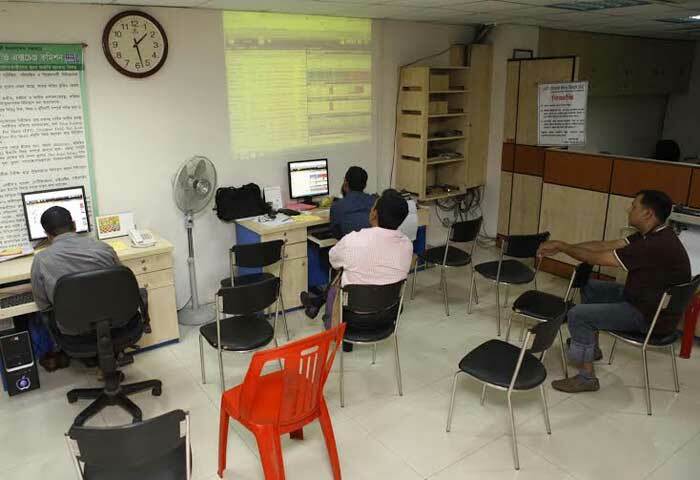 The port city bourse – the Chittagong Stock Exchange – (CSE) also saw downturn till then with its Selective Category Index – CSCX – losing 58 points to stand at 11,263 points, also at 12noon. Of the issues traded till then, 42 gained, 102 declined and 20 issues remained unchanged with BDT 400 million in turnover.